THE Regulatory and Complaint Board (RCB) has begun monitoring and inspecting authorized locations for selling firecrackers and other pyrotechnic devices in Cagayan de Oro City. 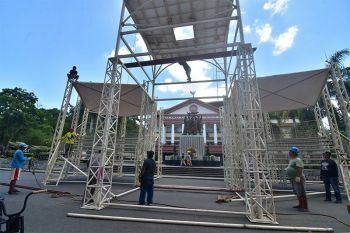 Last Thursday, December 27, the RCB, together with the explosive and ordinance disposal team of Cagayan de Oro Police Office, monitored and inspected the 23 stalls that firecrackers in Rotunda and placed tarpaulins and posters which indicate "no smoking" and minors are prohibited from buying firecrackers. "So far wala kaming nakitang violation kasi ang tinitingnan ng RCB is yung mga minors na bumbili or yung minors na nagbenta," lawyer Edgardo Uy, RCB chairman, said. "Wala kaming nakita ring mga bawal na paputok na naka display doon," he added. Apart from Rotunda, other authorized locations to sell firecrackers are in Limketkai (four), SM CDO Downtown Premier (one) and SM City Cagayan de Oro in the uptown area (one). According to Uy, the Department of the Interior and Local Government also tasked the barangays to designate a fireworks display area where firecrackers and other pyrotechnic devices will be lit. Uy also received a report that some minors were seen selling firecrackers in the Cogon area. "Pinuntahan namin. May nakita kami so we gave a warning muna kasi pag bukas kung makita pa namin sila, i-confiscate na (the firecrackers) tsaka kakasuhan. In fact, may dalawang minor na nagbenta. 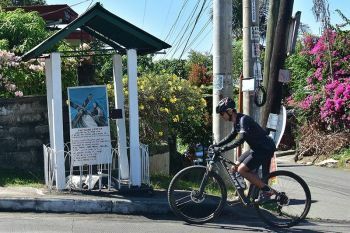 Parang iniwan lang muna raw ng kanilang ina kasi may pinuntahan," Uy said. He added that they escorted the minors to the Women and Children Protection Desk of Police Station 2 Cogon. Under Ordinance No. 13394-2018, otherwise known as the Children's Welfare Code, the following firecrackers are prohibited to sell to minors: baby rocket, El Dialo, Judah's belt, sky rocket, among others. 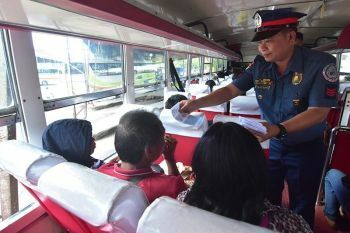 Violators will be fined as much as P30,000 and imprisonment of up to one year, cancellation of business permit and license, and confiscation of the items.